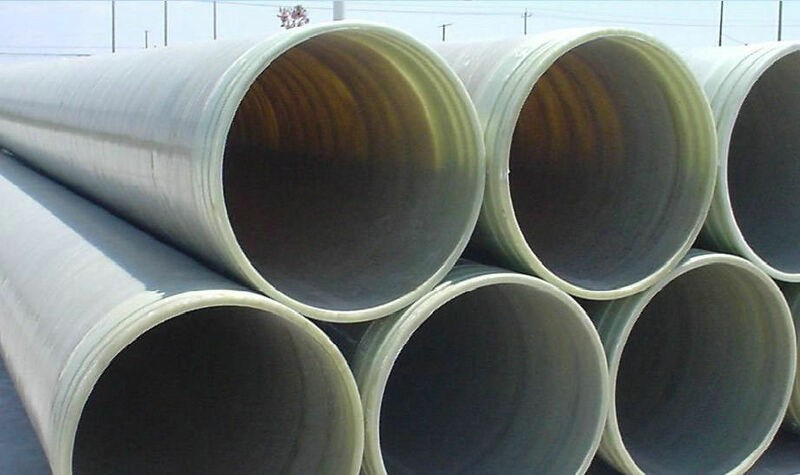 FRP Division in Polymer Composite Asia Sdn Bhd (PCA) was found in 1989 as one of the pioneer in Malaysia specialized in design and manufacture of FRP/GRP equipment such as pipes, tanks, vessels, scrubbers, centrifugal fans, bus body panels, FRP lining etc. The products, which were sold through Hexagon group of companies and PCA itself, are still in operation until today. 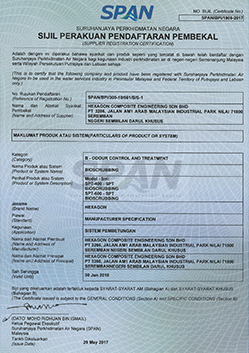 Composite products branded under Hexagon remained as a reputable brand in Malaysia and Singapore. 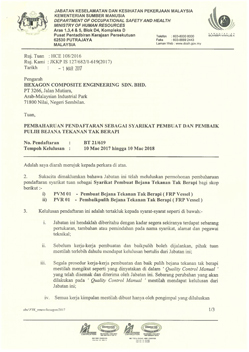 In 2009, due to the reorganization of businesses in PCA, this business was injected into Hexagon Technologies Sdn Bhd. 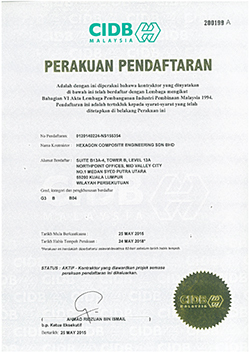 In the same year the name of this company was changed to Hexagon Composite Engineering Sdn Bhd. to reflect more of its core businesses. So effectively our experience extends back into the 1989. 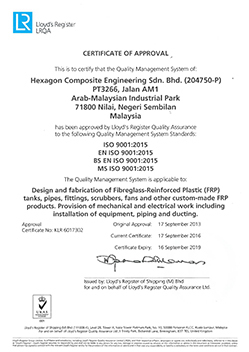 Apart from the FRP/GRP equipment manufacturing, we also diversify into other areas which were part of the main businesses in Hexagon Tower Sdn Bhd. These include: i) Manpower supply aim to overhaul/maintain turbines, generators and other auxiliary equipment for power plants; ii) provide maintenance/replacement/overhaul services for semiconductors, electronics factories, chemical & petrochemical factories; iii) Odor scrubber and Chemical Fume Scrubber systems. 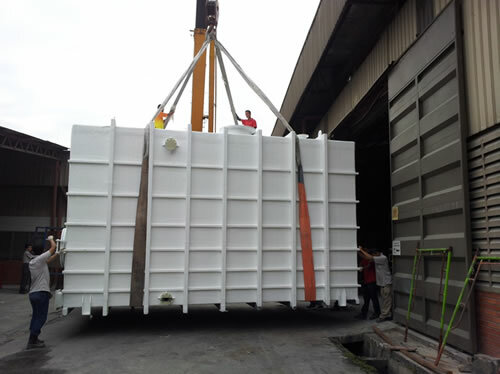 Currently, we have manufacturing facility at Arab-Malaysian Industrial Park, Nilai, Negeri Sembilan, Malaysia.